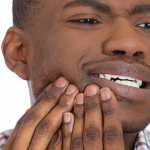 Wondering How Diabetes Affects Your Teeth? Here’s Some Important Info. Trying to read through the latest science and health statistics can be a bit confusing sometimes. Which ones are relevant? What do they really mean for your life? With so many questions, it can be tempting to skip the numbers and go about your day. However, there is one statistic that should give us all pause this month and it is the very reason why we want you to know about diabetes oral health problems. According to the National Institute of Diabetes and Digestive and Kidney Diseases (NIDDK), nearly 1 in 4 adults do not know that they have diabetes. While this is pretty alarming, it is also a statistic that we can actually do something about. Did you know that every year, on the fourth Tuesday in March, the U.S. observes Diabetes Alert Day? This month and throughout the year, we encourage you to learn more about this important question: How does diabetes relate to oral health? It might come as a surprise that dentists can actually be instrumental in the diagnosis and treatment of diabetes. You may be thinking that because diabetes affects a person’s blood sugar levels, it doesn’t really have anything to do with their dental health. The reality is that high blood sugar issues have a direct connection to numerous oral health problems. Because uncontrolled high blood sugar levels impair white blood cells, a person with untreated diabetes may experience more issues with bacterial infections. 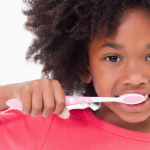 One important area with a high concentration of bacteria in the body is the mouth. Periodontitis: an infection of the gums that ruins both the soft tissue and the bone around the teeth, often causing loss of teeth. Gingivitis: the beginning stage of periodontitis that causes painful irritation and swelling of the soft tissue. 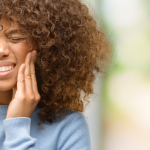 Healing Issues: after oral surgery or dental procedures, the healing process is very slow and permanent damage to the surgery site is possible. Thrush: when a person has to take more antibiotics to fight frequent infections, fungal infections often occur in the mouth. 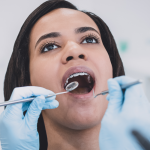 A good dentist will work in tandem with a patient’s other health professionals, making sure that each facet of a specific disease is being cared for. If you have been diagnosed with diabetes, or have experienced any of the diabetes oral health problems listed above, please do not hesitate to contact a dental professional. Penn Dental Medicine offers a full list of dental specialties to all of our patients. Give us a call at 215-898-8965 today to set up an appointment for any of your dental health needs.